Kristen Forand is an ASHA certified Speech-Language Pathologist, certified holistic health coach, IBNFC nutrition consultant, and group fitness instructor. She infuses her two passions of helping others and healthy living with her education and professional expertise in the medical field to help you achieve your ultimate wellness. Her goal is to fight the onset of chronic illness and promote ultimate health and wellness through prevention and education. She does this by providing you with the knowledge and tools needed for optimal nutrition, fitness, and stress management in your current lifestyle. 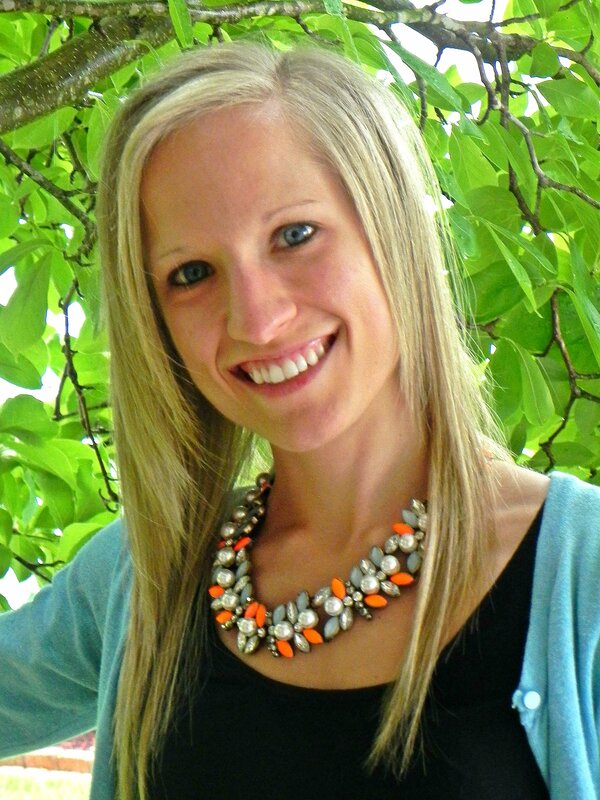 Kristen began her health and wellness journey at the start of her college career. After giving up years of dance and sports to focus on her college education, she took up running, biking, and strength training to remain active and healthy. As she continued a solid exercise routine, she developed a passion for healthy eating and the powerful effect food can have on the body. She was amazed at how much energy she had and how much better she felt simply by exercising regularly and eating real foods. When she decided to join a gym and take group fitness classes, she knew teaching classes one day would be in her future. She decided to get certified as a group exercise instructor and currently teaches in the Chicago area. Kristen has always been intrigued by the science of the human body and has always had a passion for helping others. Seeking a profession in the medical field, this passion drove her to obtain her Bachelor of Science degree in Communication Sciences and Disorders and her Master of Arts degree in Speech-Language Pathology. She began working as an SLP in a hospital and quickly learned her greatest passion was in the area of dysphagia, or difficulty swallowing, often occurring as a result of a brain injury, stroke, cancer, or spinal cord injury. Patients with dysphagia often require a restriction in certain food and liquid consistencies which can take away the enjoyment and desire of eating. In fact, many patients end up relying on shake supplements with a laundry list of artificial ingredients and additives simply because pureed meat and vegetables are far from appealing. Being in the hospital she also gained a multitude of experience working with patients suffering from chronic illnesses such as cardiovascular disease, diabetes, high blood pressure, high cholesterol, and obesity. Many patients expressed their desire to learn how to live a healthier lifestyle in order to prevent or manage their chronic illnesses. Working with these two populations, those with dysphagia and those with chronic illnesses, compelled Kristen to further her education in health, wellness, and nutrition to help others incorporate healthy living into their lifestyle while still enjoying the foods they love, no matter their deficits. She went on to become a certified holistic health coach and nutrition consultant with the desire to fight the onset of chronic illness and promote a passion for healthy eating through prevention and education for all people. Kristen began sharing her knowledge of health and nutrition with friends, family, and co-workers by developing recipes that focused on blood sugar stabilization and the use of whole, clean food to fuel the body. She firmly believes that when you fuel your body with proper nutrition and exercise you create the ultimate fuel for your wellness. Every new recipe she creates is based on the principle of balancing the three macronutrients (protein, carbohydrates, fat) and is designed to help boost your metabolism, build and maintain your muscle, and increase your energy. In each recipe you will find nutritional highlights, recommendations on how to make it a part of a balanced meal, and the modified diet level it reflects according to the National Dysphagia Diet. Knowing how to incorporate a balanced and healthy lifestyle into our everyday lives can be confusing and challenging, especially if you have difficulty swallowing and must avoid certain foods and liquid consistencies. Fuel for Wellness is meant to provide you with the why behind a healthier way of eating and the recipes needed to develop your love for food and for yourself. It gives you the reason healthy eating, real foods, and regular exercise is good for our bodies. Knowledge is power and until we know why something is good for us, our motivation and our desire to live that healthier lifestyle plummet. Use knowledge to fuel your body and your mind and provide the ultimate fuel for your wellness. Glad you like them, Laura! I’d love to hear how they turn out for you and any suggestions you have so feel free to comment on your favorites.